SxBRC is always involved in a wide variety of projects, activities and surveys. These range from the long-term hedgerow survey project run by Peter Challis to ecosystems services modelling for local planning authorities. We recognise that modern-day recording can be a minefield of technology, scientific jargon and differing methodologies. We can provide help, support and training in the various aspects of biological recording. This can include software and technical support, help with developing a comprehensive monitoring system or basic recording advice. If you require our help, or simply require advice, please do get in touch. SxBRC has for several years been working closely with Sussex Botanical Recording Society (SBRS) to produce approximately 1,400 species distribution maps to accompany their species accounts in the soon to be published Flora of Sussex, as well as producing further mapping to support the introductory chapters of the publication. 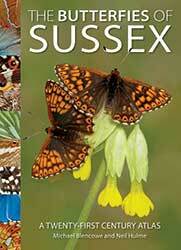 SxBRC was delighted to support Butterfly Conservation – Sussex Branch with production of distribution maps and flight charts for the species accounts in ‘The Butterflies of Sussex’. This lavishly illustrated book provides many fascinating insights into the status of our county’s butterflies, based on an intensive five year survey by local Butterfly Conservation members. SxBRC has teamed up with Sussex Inshore Fisheries & Coastal Authority (IFCA) to produce an interactive map of the Sussex marine environment. 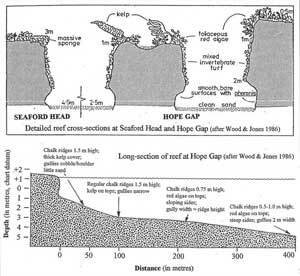 The map provides a wealth of information about the different biodiversity, geodiversity and archaeological features off the coast of Sussex. 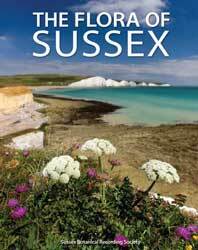 Sussex’s coastal waters are also important for a range of economic activities, including fishing. The map provides information about fishing activities and the bylaws which regulate them. If you’ve got any comments on the content of the map, or your experience of using it, we’d love to hear from you. Please contact us. 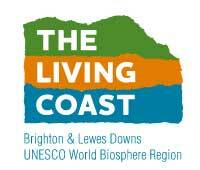 Working in partnership with The Brighton & Lewes Downs Biosphere Programme, SxBRC has developed an online map for The Living Coast. For the first time, the map puts information on the location of countryside habitats and urban greenspaces onto a publicly accessible website, alongside information on public rights of way and public access land. The map also enables people to locate local greenspace volunteering opportunities through the ‘Greenspace Groups’ layer, including links to access more information on each group to find out how to get involved with their important work. The map was made possible thanks to a grant from Brighton & Hove City Council’s Environmental Sustainability Fund.